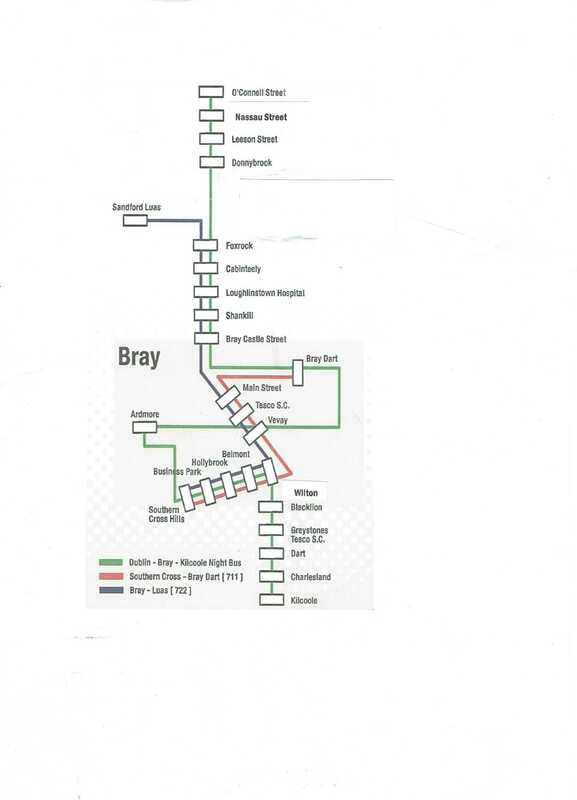 The route includes Southern Cross, Vevay Road, Bray Main Street, Quinsboro Road (Florence Road return) and Bray Dart. Buses that continue to Sandyford Luas continue through Castle Street, Shankill, Loughlinstown Hospital, N11 and Brewery Road. Please note that there is no Southern Cross / Bray Dart / Sandyford Luas service on weekends or Bank Holidays.